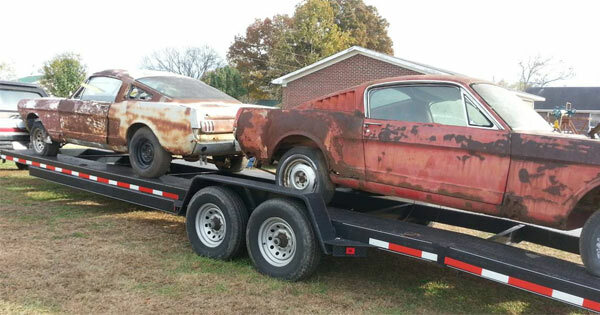 It’s usually the case that you see a restoration project muscle car being sold on its own, sometimes more, but then you usually get the option to buy them individually. 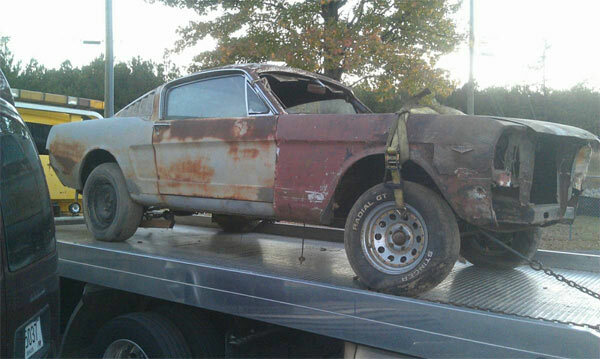 This listing is for two 1965 Mustang fastbacks which have obviously seen better days, but can be sold individually if needed. Both have missing engines and transmissions, but are said to have most of their interiors that come with the sale. No images of these, just exterior shots so it’s hard to sum up exactly how much interior you get. The listing says that the cars come with ‘a few additional parts’ but no description of what these are. Without an indication of the level of rust, it’s hard to say how much bodywork is exactly needed. Obviously, from the looks of the vehicles, lots, but they will have to be checked out in person to see exactly what is wrong with these old ponies. This. So these should be taken as from scratch restorations. At $10,000 each, the price is probably ok for these fashbacks and being Mustangs there are plenty of OEM parts available to bring these cars back to life. However, they are clearly full restoration projects and should be only taken on if you’re well aware of the full work ahead.